News broke yesterday that credit card giant American Express posted a higher first-quarter profit than analysts expected. Its customers spent more on their credit cards, than anticipated, and thereby reflecting sales gains in what some say is the rebounding U.S. economy. It beat expectations with higher earnings; net income was $1.26 billion, considerably better than the 2011 number of $1.18 billion. Also, revenue was up by 8% to $7.61 billion. Some say its typically affluent card holders are now once again spending; others say that its newer products might have more to do with it. The American Express PASS Prepaid Reloadable card for teens and young adults has set itself apart from its competitors. It’s more than just a reloadable debit card for parents and teens, it’s an entire money program designed to help young consumers get a realistic approach on money as a whole before they become adults. Parents can open these accounts for their children aged 13 or older. The goal is to provide a bridge between parents and kids so that the awkward conversations around finances can be better managed. Plenty of perks make this a fine alternative – and just might explain the higher first quarter profits. Many say these revolutionary approaches play a role in the company’s success. In order to make the most of the PASS program, American Express partnered with Junior Achievement, a youth development organization dedicated to empowering young people to own their economic success. The goal is to provide provide PASS Cardmembers and their families with easy access to everything they need that will teach financial responsibility. The Junior Achievement Student Center website is chock full of information on topics such as budgeting, saving and investing, understanding financial terms, paying for college, and much more – everything parents need to instill responsible financial choices. PASS Cardmembers can become “Financially Certified” after successfully completing a test on the Junior Achievement Student Center site. This certification means the PASS Cardmember is financially literate to the standards set by Junior Achievement. For parents, they’re assured that if the PASS card is lost of stolen, they’re not held accountable for any fraudulent charges. Plus, because it’s a reloadable prepaid card, kids can only spend what’s available on the card. Plus, if you decide to enable the ATM feature that allows money to be withdrawn at ATMS, there’s one free withdrawal per calendar month. After that, the fee is $2. Keep in mind, the ATM owner may have its own fees associated with using the machine. 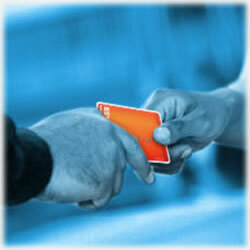 There are absolutely no reload fees or card activation fees. The program also includes the Deal Center, an online shopping mecca that gives PASS Cardmembers access to great discounts and plenty of special offers in hundreds of merchants online storefronts. Members can also use their discounts in traditional brick and mortar stores as well. Members will enjoy impressive savings, free shipping opportunities and other deals and bargains. Because instilling a sense of charity is important, AMEX also makes charitable donations to United Way for each eligible purchase made in the Deal Center. It’s a great way to teach kids about the importance of giving back. Along with the Deal Center, AMEX offers the Music Store. This online store gives PASS Cardmembers access to exclusive music compilations and discounts to Sony Music label songs. Taking advantage of these benefits, the card holder need only pay with his PASS card at checkout. Not only that, but card holders also enjoy Entertainment Access, which allows them to enjoy exclusive events and even advance concert and sports ticks for music, sports and other “must see” events. An easy to maneuver website outlines all the current program details at any given moment. Finally, there’s the Global Assist, which offers lots of great resources for those trips taken more than 100 miles from home. Emergency assistance is also available, along with emergency translation services, legal and medical referrals and much more. Card members can choose from four card colors, along with an image of their choice. It’s a great way for kids and young adults to personalize their PASS card. Of course, you can manage the card online – from reloading funds to monitoring purchases and ATM withdrawals. Parents and card holders can also block certain aspects of the card, such as ATM access. Parental controls are an added safety feature parents can incorporate. This is truly the first of its kind in terms of prepaid and reloadable cards. This all inclusive approach is sure to be attractive to parents, along with the perks today’s young adults are looking for. The powerful tools are designed to instill responsible decision making processes while reassuring parents as they see their teens evolve into responsible consumers who have the right tools to use once they enter into adulthood.